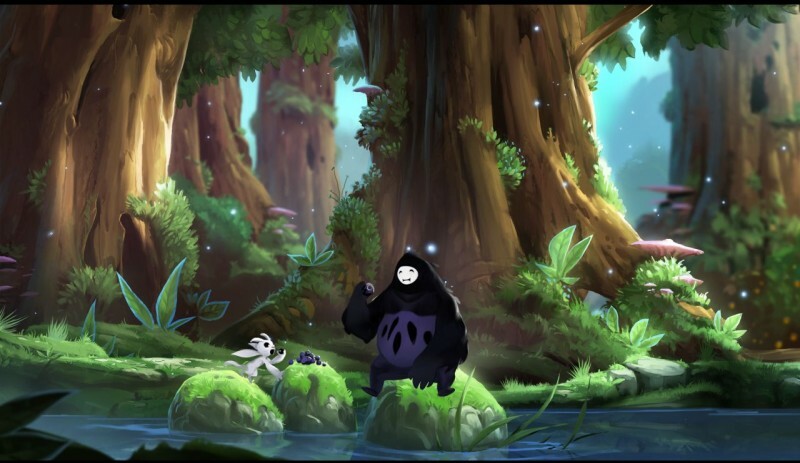 Within the opening minutes of Ori and the Blind Forest, developer Moon Studios teases a playful and uplifting experience that focuses on two unlikely companions – Ori and Naru – coming together to form the bond of friendship. These moments unfold through a heartfelt warmth we rarely see in games – the kind where you just want to sit back, observe, and not interact for fear of interrupting the delicate fabric of happiness shared between these two characters. Their friendship frames a beautiful introduction to a game, a triumph of both visuals and storytelling. Moon wants you to fall in love with these characters, quickly and unconditionally. This makes the next series of events hit with as much force as possible – leading to moments of shock and despair, and questioning if there’s reason to continue playing. 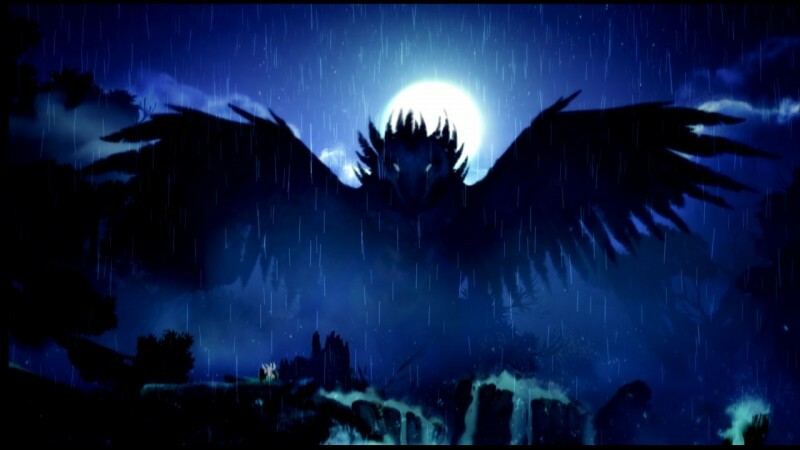 In these sequences, we witness the accelerated death of Nibel Forest, Ori and Naru’s home. The world falls to darkness. Deadly briar patches and predators fill the spaces that once held fruit-bearing trees. 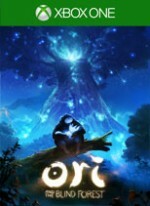 The only hope of this world surviving lies with Ori, an outcast forest spirit who, in a moment of great sadness, learns he’s gifted with the power to bring life back to the world. 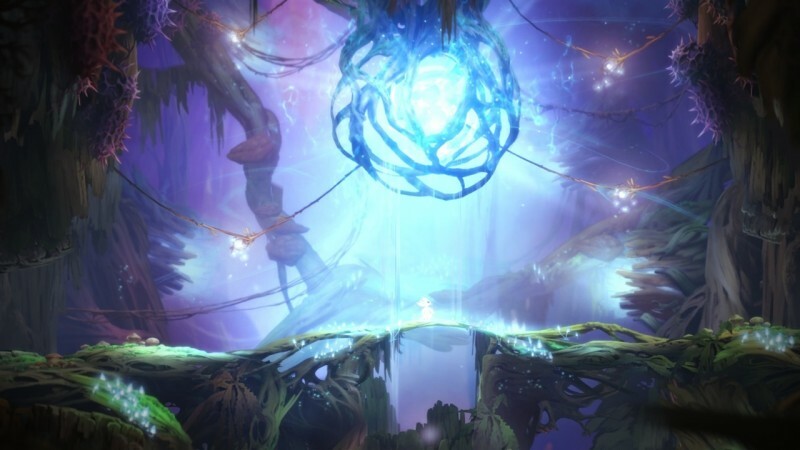 What unfolds next is a fascinating exploration of a dying world; a journey filled with breathtaking environments and a surprising amount of death – not of characters met along the way, but Ori’s. The early moments of Ori joyfully spinning and twirling across harmless platforms don’t last for long. Once the gameplay kicks into high gear, Moon pushes players to perform flawlessly. Skill is paramount. Slight miscalculations in timing result in Ori crushed beneath boulders, and burned to ash by lava. There were times where I found myself doubting my abilities, wondering if I would ever make it to the end. I died often – repeatedly in the same spots – but never once did I feel my deaths were the fault of the controls or bad gameplay design. Most death came from me panicking and messing up my execution. Ori controls admirably, allowing for such demands. His ever-expanding moveset (which offers slick wall-running, ground-pounding, and an inventive ability that slingshots him higher) is expertly designed, allowing players to rapidly fire off a wide variety of moves to tackle crazily designed vertical spaces. None of these abilities feel tacked on. 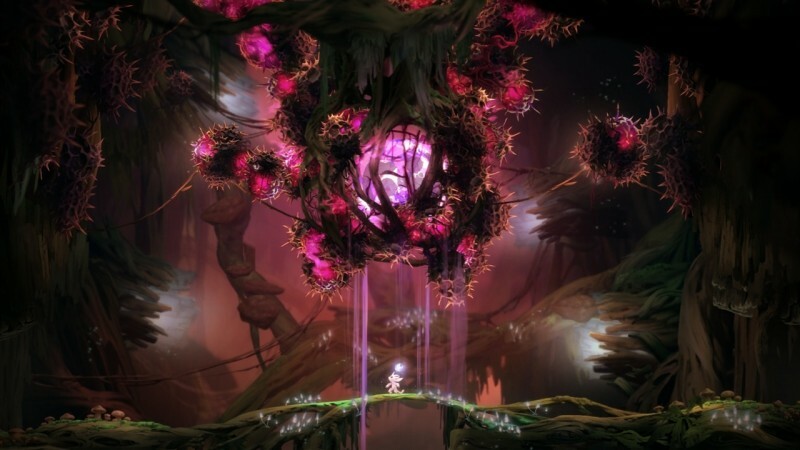 They’re all fun to use, and make Ori look like an acrobatic badass. The challenges are wonderfully scripted, often pushing for as much skill as they do creative thinking. 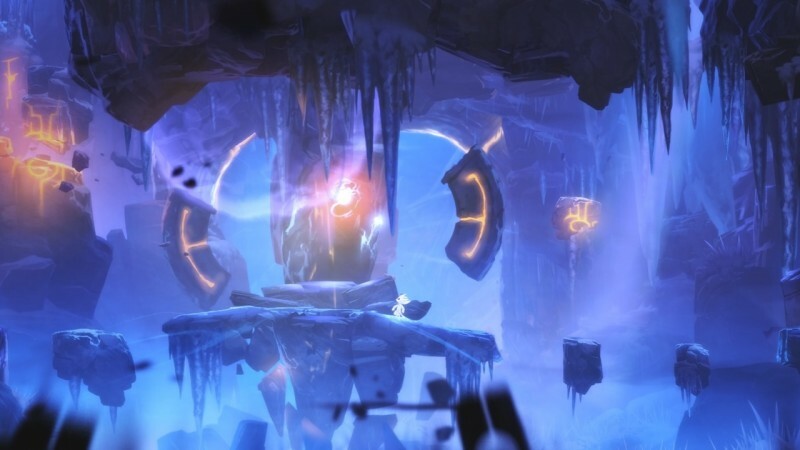 Like all sidescrolling Metroid games, there are plenty of secrets hidden in this world, many demanding thorough exploration and leaps of faith. This is one of those games where you'll want to take the time to veer off of the critical path to fill in the map. Combat is also a central focus, but it almost contradicts the platforming design, relying more on rapid button pressing than precision. 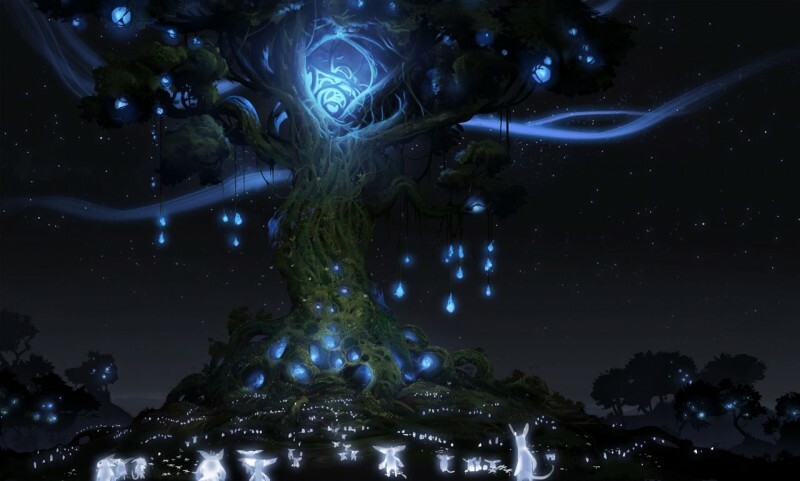 Ori’s primary attack is a white flame that automatically homes in on targets (though its functionality sometimes leads to frustrating instances where the shots aren’t hitting the desired target). 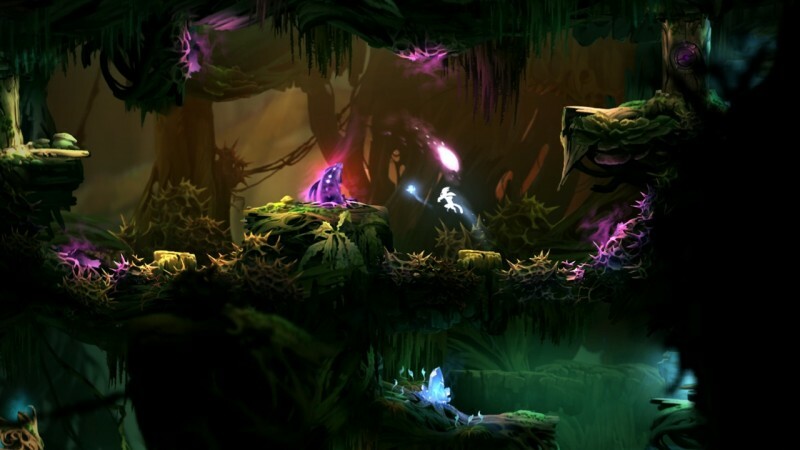 Ori is as nimble as Samus Aran, but even with a fully upgraded arsenal (which is unlocked by earning experience and finding skill points), he isn't a killing machine. His combat prowess is impressive, but it takes a backseat to movement. 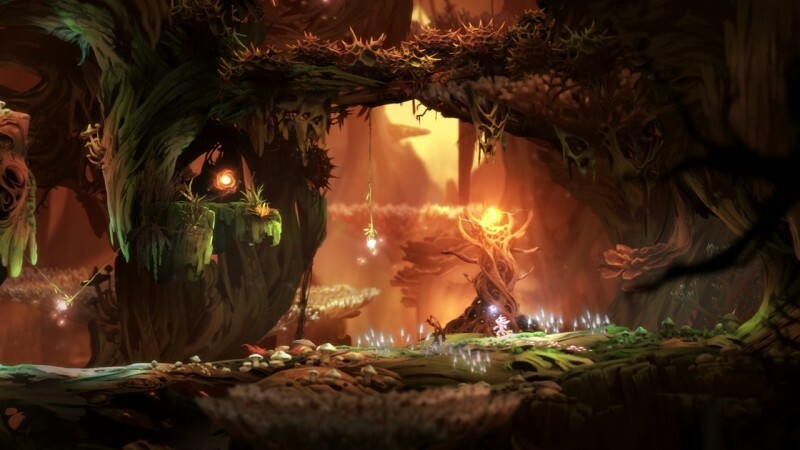 The focus of this experience is almost always on the platforming, even for boss encounters. 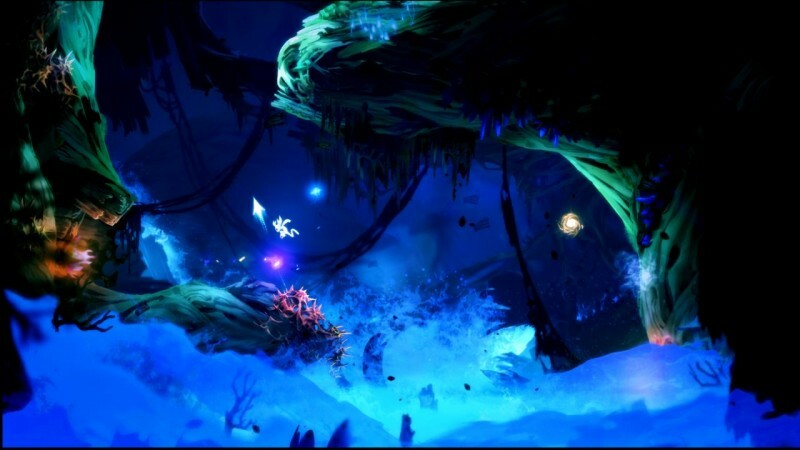 There isn’t a bad moment in Ori and the Blind Forest. Every design has a purpose. Every challenge feels lovingly made. The story, which I expected to die off after the introduction, stays strong and makes a few crazy twists along the way. Even backtracking (of which there’s a fair amount) is quick if you want it to be, or loaded with opportunities to explore previously unreachable areas. 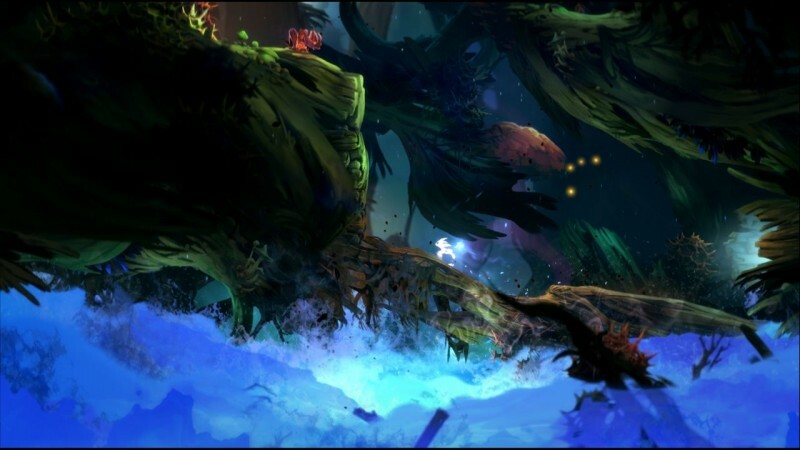 Ori and the Blind Forest is one of the best games of the year, and should be a no-brainer for anyone looking for an exciting new adventure to dive into. That said, it comes with a warning: Expect to be humbled by its difficulty. Death comes quickly. Over and over, you’re going to watch an adorable little creature perish because you had a moment of indecision or your skills failed you. Again, nothing about this experience feels unfair. Some of the long scripted sequences are enormously challenging – to the point that you’ll likely repeat every swear word that you know. My wife periodically poked her head into my game room to ask if I was having a nervous meltdown, but I instead told her that I haven’t had this much fun with a game in a long time. 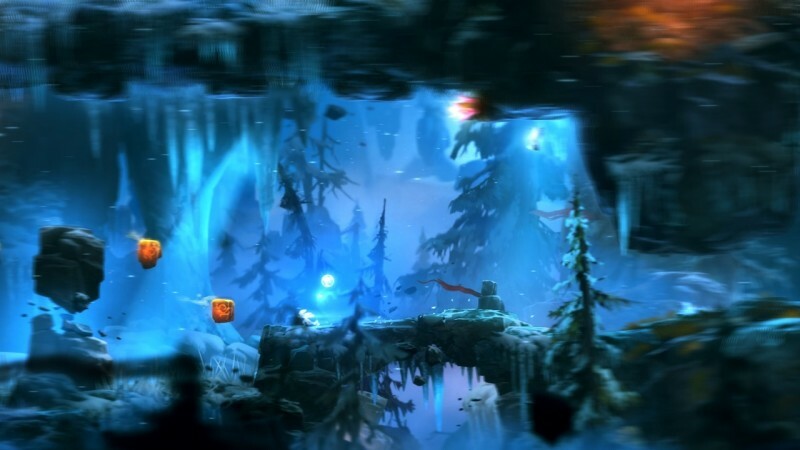 Moon Studios' venture into "Metroidvania" territory is every bit as beautiful as it is challenging.